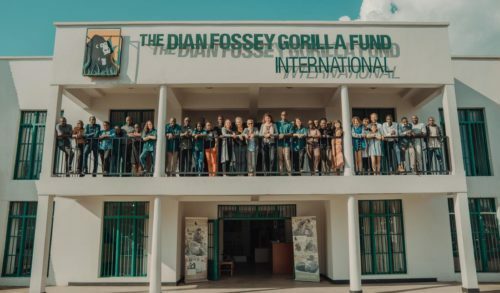 The Dian Fossey Gorilla Fund is the world’s longest-running and largest organization dedicated solely to gorilla conservation, and has seen many historic milestones over the years. 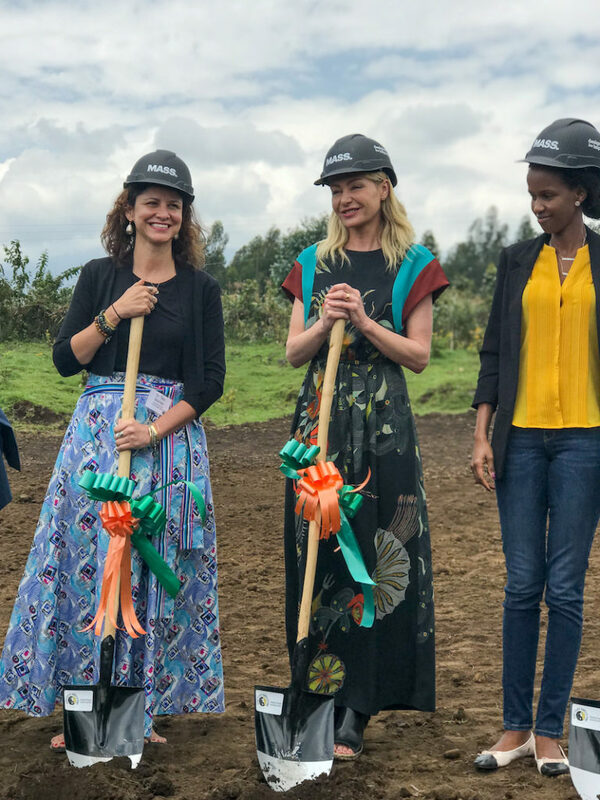 But Feb. 12, 2019, marked one of our most important yet, as we broke ground on a new permanent home for all of our activities in Rwanda. Our Karisoke Research Center was founded by Dian Fossey in 1967, starting with just two tents in the forest, and has operated from impermanent and inadequate spaces ever since. 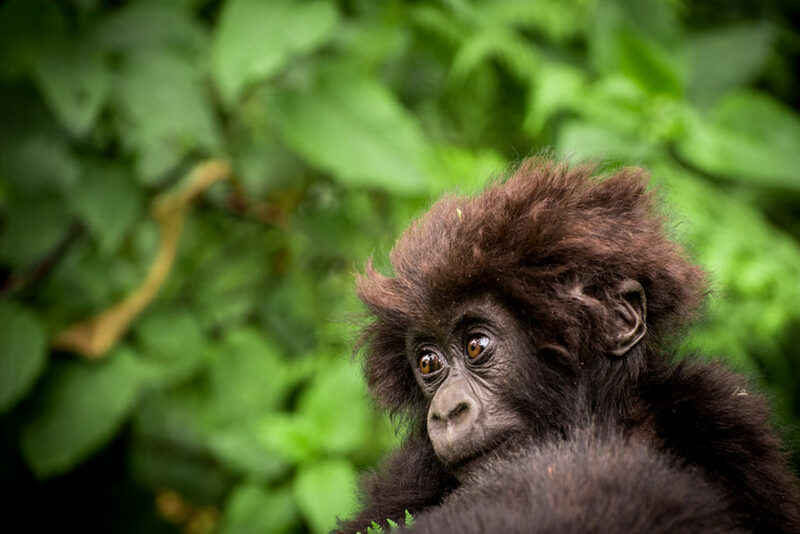 Now, work has begun on a transformative new space for our 130 staff in Rwanda, our daily gorilla protection and research programs, and our outreach to more than 14,000 Rwandans each year through education training, and other community programs. 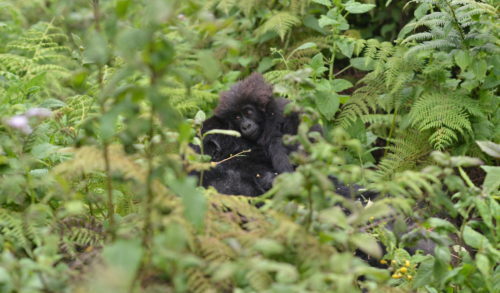 Full construction on the Ellen DeGeneres Campus of the Dian Fossey Gorilla Fund, named in honor of a lead gift by American celebrities and conservationists Ellen DeGeneres and her wife Portia de Rossi, is planned to start this summer, with completion expected in 2021. 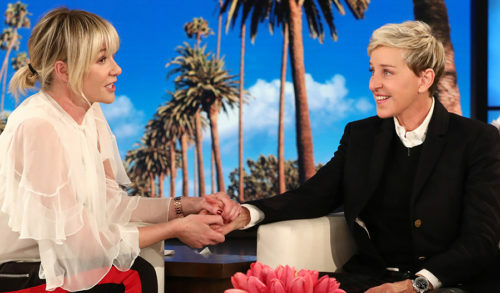 Portia de Rossi attended the event on behalf of herself and Ellen DeGeneres. 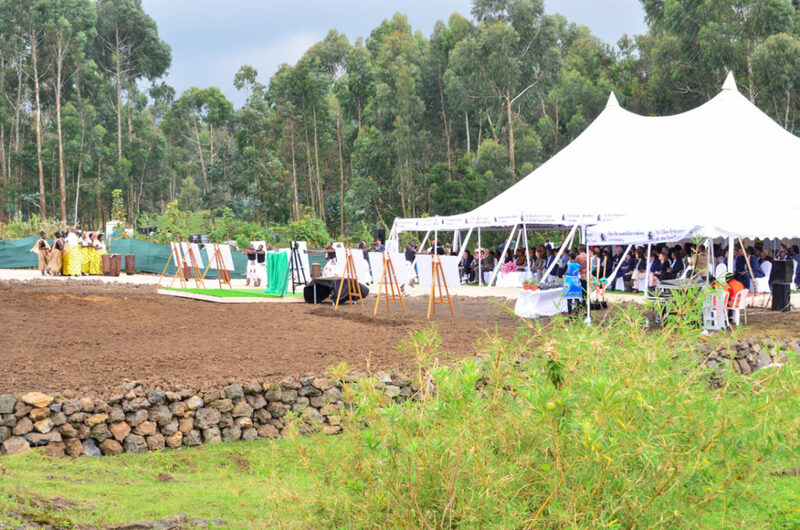 Also in attendance were some 200 guests, including national and local officials from the Rwandan government, Fossey Fund staff and board members, community leaders, local organizations and other partners. 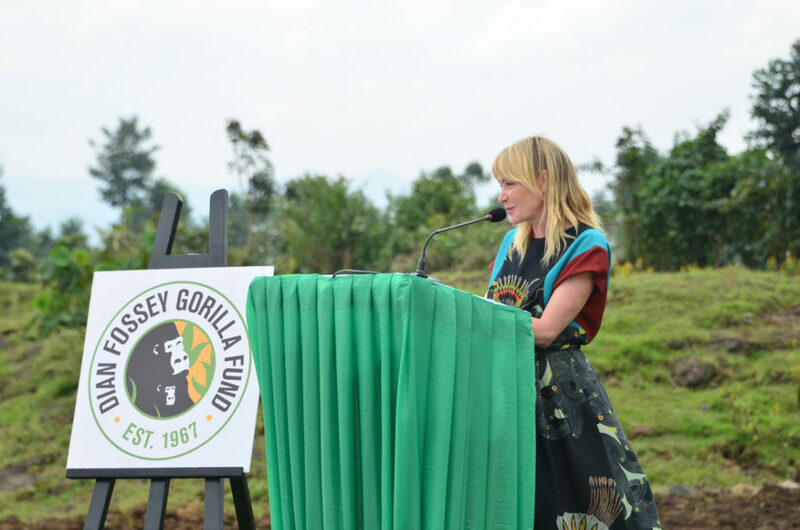 Currently, the Fossey Fund operates its programs from a rented office building in Musanze, which does not have adequate and appropriate space for all of its activities and is located about 30 kilometers from the national park. 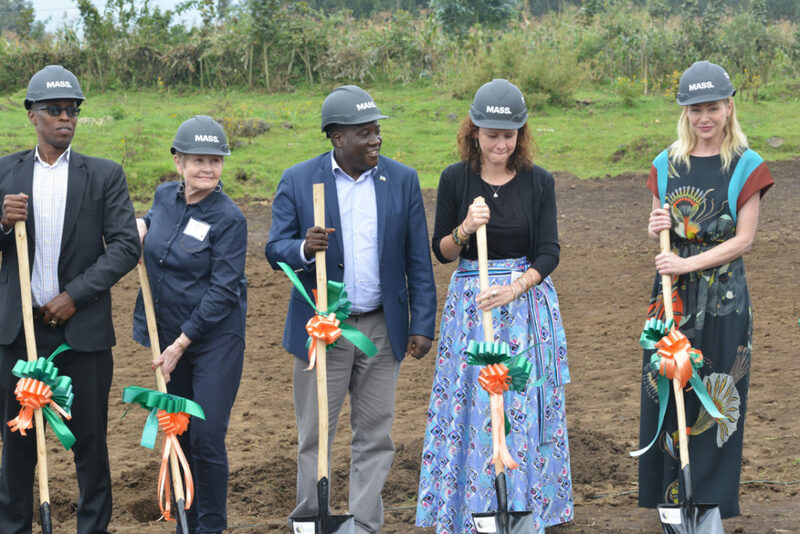 The new ecologically friendly campus will include state-of-the art laboratories; a computer lab and library; flexible office and meeting space; classrooms for educational programming; a dynamic public exhibit to showcase the legacy of Dian Fossey; and guest housing to host visiting researchers and students. 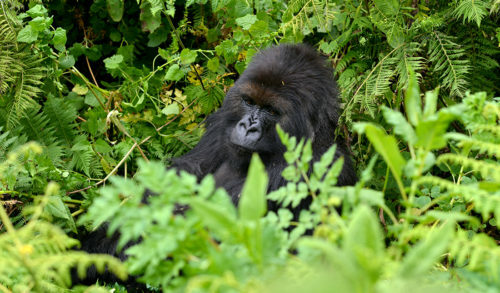 This campus demonstrates the Fossey Fund’s continued investment in advancing the conservation and science goals of Rwanda and will expand the organization’s ability to be a key node in the Rwandan government’s Center of Excellence in Biodiversity Conservation and Natural Resource Management. It will also have an impact much beyond that, through a significant investment in the local communities around Volcanoes National Park. It is estimated that as part of the construction 1,500 jobs will be created (with 40% of the workforce being female) and $2 million will be spent on local labor and trades. In addition, it is estimated that $2.5 million will be spent on local materials gathered from within 250 kilometers of the site. 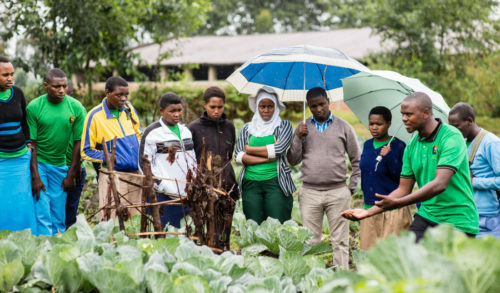 For construction of the new campus, the Fossey Fund has partnered with MASS Design Group, a unique, award-winning nonprofit firm based in Boston, USA, and Kigali, Rwanda. MASS Design has extensive experience in creating mission-aligned, purpose-built facilities throughout the world, including hospitals and other facilities in Rwanda. Through its many projects in Rwanda, MASS Design has helped educate and build a team of experienced local architects, designers, engineers and construction personnel. They focus on locally sourced, sustainable materials and providing job opportunities for local communities.